Ultimate Ears has launched the BOOM 3 portable Bluetooth waterproof speaker in India. It comes with a magic button on top of the speaker for convenient music control. When paired with the redesigned BOOM by Ultimate Ears iOS mobile app, you will also have one-touch access to all of your favorite playlists on Apple Music. The Magic button also gives access to playlists on Deezer Premium which offers 53 million tracks on Android and soon on iOS. It comes with a new IP67 rating and the improved Bluetooth brings up the range up to 150 feet. For added convenience, BOOM 3 speakers are compatible with the Ultimate Ears Power UP charging dock for a simple, wireless charge. The BOOM 3 offers up to 15 hours of battery life. The BOOM app also offers PartyUp mode which works with all generations of BOOM and allows you to connect up to 150 speakers—as well as a custom equalizer (EQ), and remote on/off controls. The Ultimate Ears BOOM 3 will be available in Night (Black), Sunset (Red) and Lagoon (Blue) colors at Rs. 15,995 through Amazon.in from tomorrow, January 17, 2019. Building on the renowned BOOM legacy we bring to you the new enhanced party power-house BOOM 3. 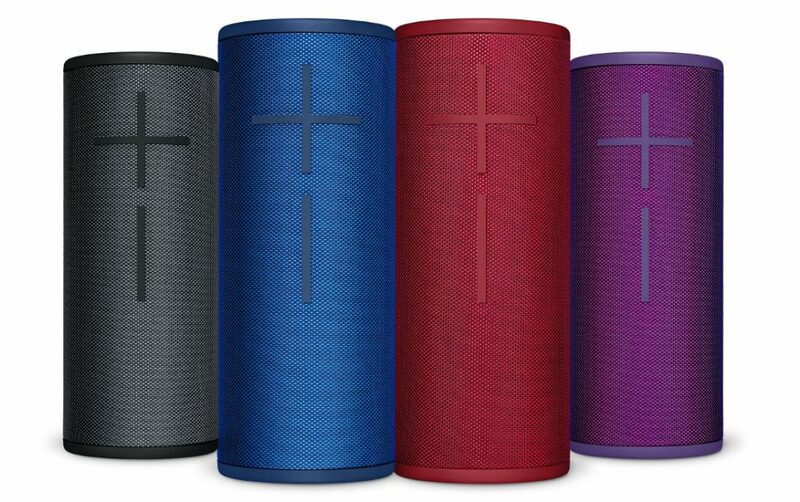 Packed with powerful unfiltered 360° sound and a stunning two-toned fabric BOOM 3 comes with an unmatchable durability from being waterproof to dustproof. The next generation in the Ultimate Ears Bluetooth speaker range- BOOM 3 supports Magic Button on top of the speaker for convenient music control. After receiving an overwhelming response for BOOM line-up from the Indian market we are all geared up to sway the market with BOOM 3.